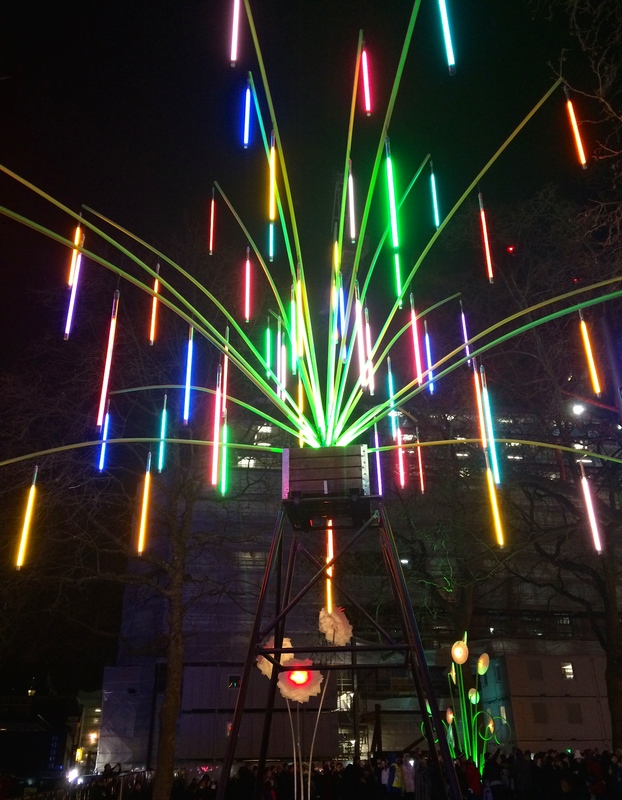 We went to Lumiere London. We only saw a few of the installations as it kicked off at 6.30pm and it involved a lot of walking for the girls as the installations were spaced out. We loved what we did see. However, it was suddenly 8.30pm, we were caught in a massive scrum on Regent Street and we hadn’t eaten (the kids usually eat about 5.30pm-6pm). The very cheerful waiter who greeted us was really helpful and reconfigured the tables to accommodate the five of us. Then we sat straight down and the menus were brought out promptly. The childrens’ menus had the familiar format: word searches, stickers and colouring along with the food options, so they were occupied immediately and forgot how hungry they were. 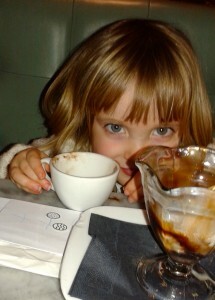 The £6.95 ‘Piccolo’ menu included a dough ball starter (which comes with a child-friendly salad), main that can be a pizza or pasta dish and dessert, complete with a bambinoccino (frothy milk with a dusting of chocolate powder). I think it represents good value, although unlike the Carluccio’s children’s menu (which is 35p cheaper) doesn’t include a drink. The starters were brought out nice and quickly, which is great as my children do go from being slightly hungry to ‘famished’ in a matter of minutes. They absolutely adored the dough balls and their pizza mains (all with different toppings) were finished with similar gusto. I had one of the newer additions to the menu: the American Hottest, which boasts pepperoni, hot green and roquito peppers, fresh red chilli, ‘nduja sausage, tomato and buffalo mozzarella and chilli oil. I loved it, but it was too hot to handle for Matt, who plumped for the tamer American Hot. I washed mine down with a very smooth Chianti Riserva DOCG, which was available by the glass. It was getting extremely late so we didn’t have time to stay for dessert, but the staff were very happy to parcel up the girls’ three chocolate brownies for us to take away. 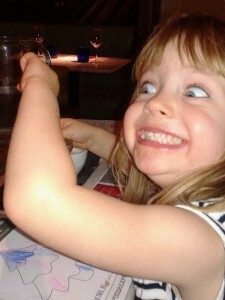 Pizza Express is not fusion, it’s not funky or quirky, but it consistently provides a really good, efficient, family dining experience. My dad’s Italian, and we used to go to Pizza Express when I was little. That’s a compliment as there are very few non-Italian pizza places that he would grace. 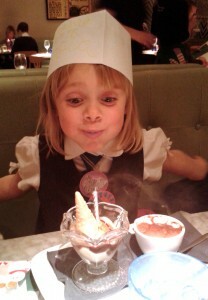 Sofia’s request on her birthday was to go to Pizza Express for dinner after school. I’m on their mailing list so get loads of money-off voucher codes. My birthday is eight days after Sofia’s, so I had a voucher for a free bottle of Prosecco, wine or beers – obviously meant to be used for my birthday celebrations with lots of friends. Despite the fact that it was just three children and me, they let me use the voucher. They even kept the wine in the fridge for me to take home afterwards!! I looked like a bit of a wino, but hey. 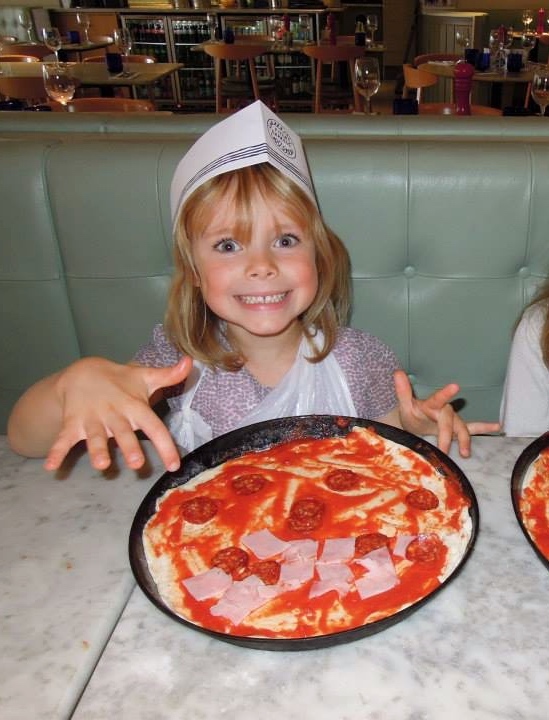 Sofia has now been to two pizza-making parties at Pizza Express and came back raving about them, so definitely one to consider for the future.